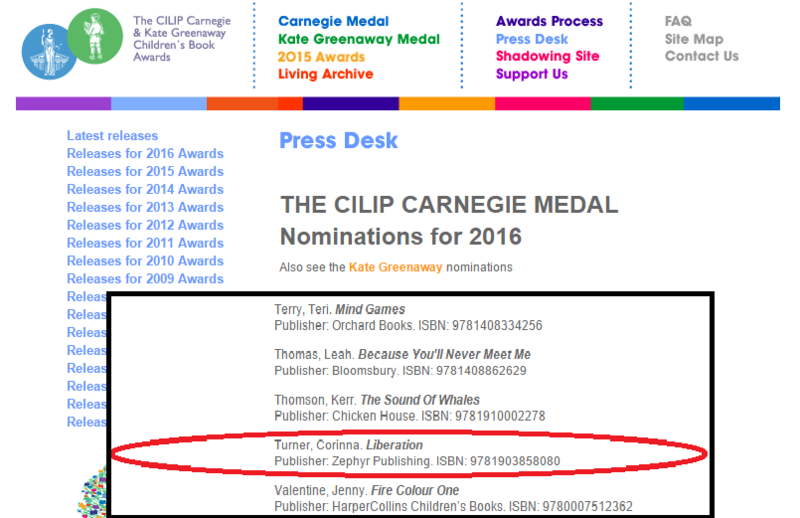 Carnegie Medal Award nomination for LIBERATION! I’m absolutely thrilled to announce that LIBERATION, book 3 of the I AM MARGARET series, has been nominated for the CILIP Carnegie Medal Award 2016. To find out more about the Carnegie Award, click here. To see the 2016 list click here. On September the 3rd Ken Huck from Radio Maria’s ‘Meet the Author’ interviewed Regina Doman, Andrew Schmiedicke and Corinna Turner about the ‘I Am Margaret’ series. Follow this link to listen to the interview. Don’t miss the Citadel photo gallery (Liberation) and this little video I’ve just added about what Margo, Bane and Jon are eating in The Three Most Wanted! Corinna’s interview with Richard Atkins for BBC Radio Gloucestershire. Lead-in: Richard Atkins: We are told that all of us have a novel in us ready to be written. Most of us will never get beyond a couple of chapters. But one young lady in Gloucestershire has gone further with pen and paper. Completed in four months and containing ninety seven thousand words, the result is ‘I am Margaret’, the first published novel for Corinna Turner. I’ve been along to the launch party for the book. But why a faith based novel…?